Do you have a lead magnet on your site already, but it’s not converting as well as you’d like? Maybe it’s because your offer doesn’t promise to solve a big enough problem for your visitors. In this case study, we’ll discover how Cole’s Classroom created a lead magnet that was laser focused on his readers’ needs, and gained over $55,000 in sales as a result. In 2008, my closest friends & family told me I was crazy – ya know, since I didn’t even own a camera at the time. But that didn’t stop me. I bought the camera. I just needed to learn how to use it. And that’s where things got difficult. He started Cole’s Classroom shortly after that to break down the confusing concepts and techniques he’d learned into easy-to-understand lessons any photographer could understand. He also built a private community where beginning photographers could ask questions without any fear of ridicule from others. As his experience and knowledge of photography grew, he realized some of the most sought after photography tools are Lightroom presets. Every photographer, from those shooting weddings professionally to the mom looking for newborn photography tips, can use Lightroom presets to quickly edit images with just a few clicks of a button. Lightroom presets automate the process of taking a photo from drab and normal to creative and stunning. 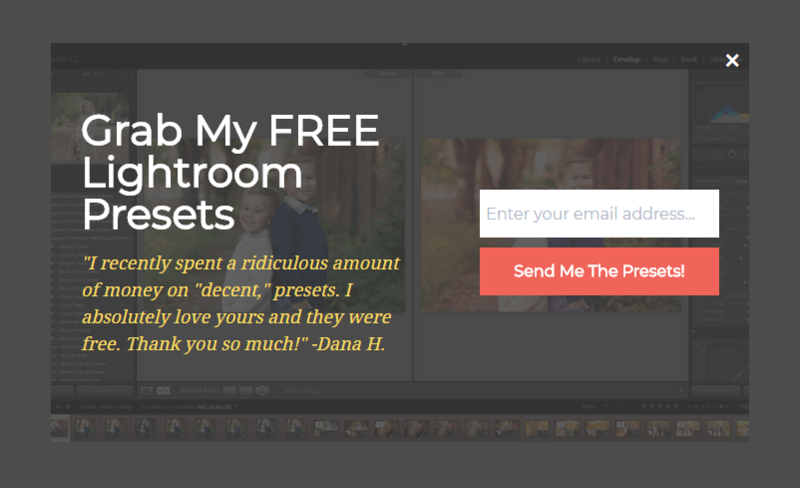 Cole decided to offer a series of free Lightroom presets to visitors in exchange for their email address. This is called a lead magnet. A lead magnet is a valuable piece of information, like a checklist, ebook, guide or freebie, offered in exchange for an email address. 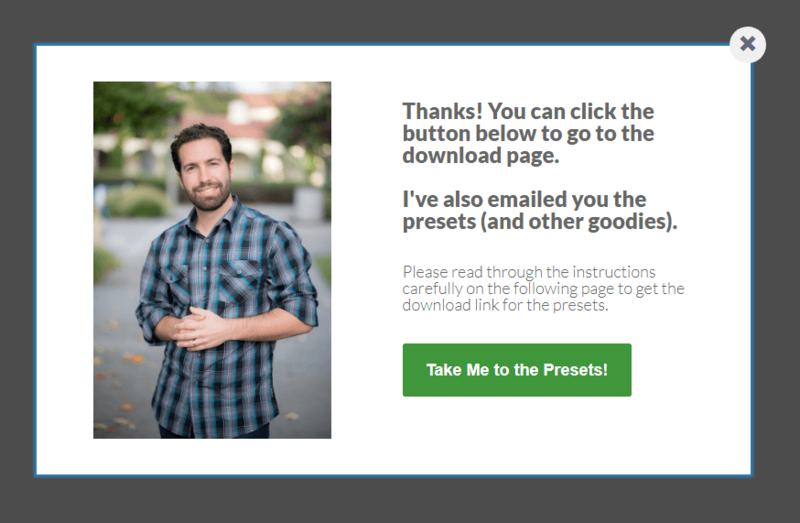 Let’s take a look at how he offered his visitors the Lightroom presets lead magnet using OptinMonster. Cole made it his own by first turning on our Yes/No feature. The Yes/No feature replaces the traditional optin form with two buttons. When clicked, either button can launch an optin form, redirect to another URL, or simply close the optin. Cole chose to launch the optin form so a visitor could enter their email address in exchange for the presets. You might be wondering why he would add an extra step to his optin? You might even think the extra step would decrease conversions, since it adds a little more friction to the optin process. The opposite is usually true. When the optin form is presented first, the visitor is making a decision more about whether or not to complete the form, but less about the actual offer you’re making. When an optin is shown using the Yes/No buttons, the visitor is not choosing whether to complete a form. They’re deciding if the offer itself is valuable to them. Even more, the No button or text forces them to confront the consequences of choosing No. In this case, admitting they don’t want any help editing photos. When a person clicks the Yes button, they’ve already decided they want your offer. They’ve already committed in their minds to FINISH the process so they can gain the result. For this reason, optins utilizing the Yes/No feature typically convert better than those without. In Cole’s campaign, after clicking Yes, the visitor is presented with the optin form itself. After completing the optin form, the new subscriber sees this confirmation. 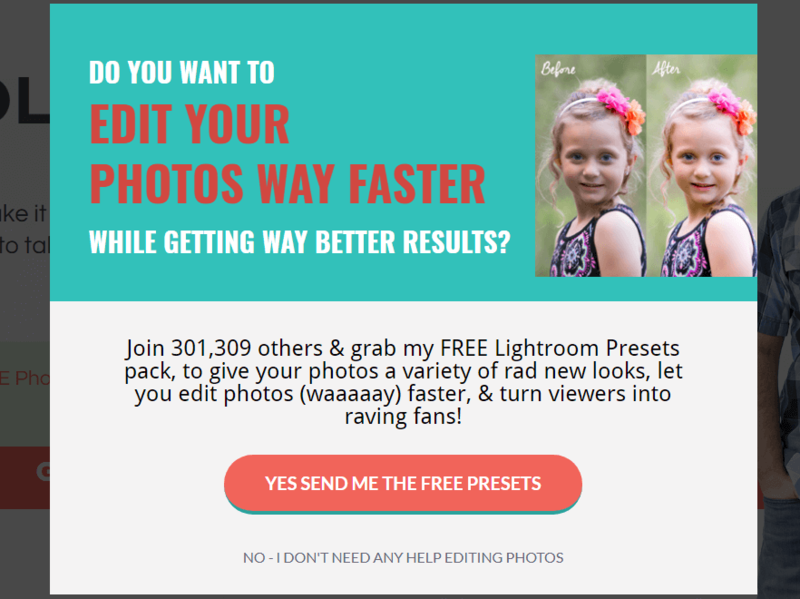 The Lightroom presets are delivered using our Download Success Theme. It allows you to link to a file directly in the Success Message, or to redirect to a landing page where you deliver your lead magnet. He highlighted the benefit of subscribing, not the product itself (“edit photos faster with better results”). He showed social proof by displaying the number of subscribers on his list. 300K people can’t be wrong! He showed the actual results the presets provide in the Before/After photo. Once visitors are converted to subscribers, Cole can continue to email them with new tutorials, products and offers. Cole’s Classroom saw a huge boost in sales from this optin. Cole’s Classroom showed this optin to nearly 35K visitors. Cole’s Classroom converted 6.90% of those visitors. Cole’s Classroom added $55,494 in sales as a result of this optin. 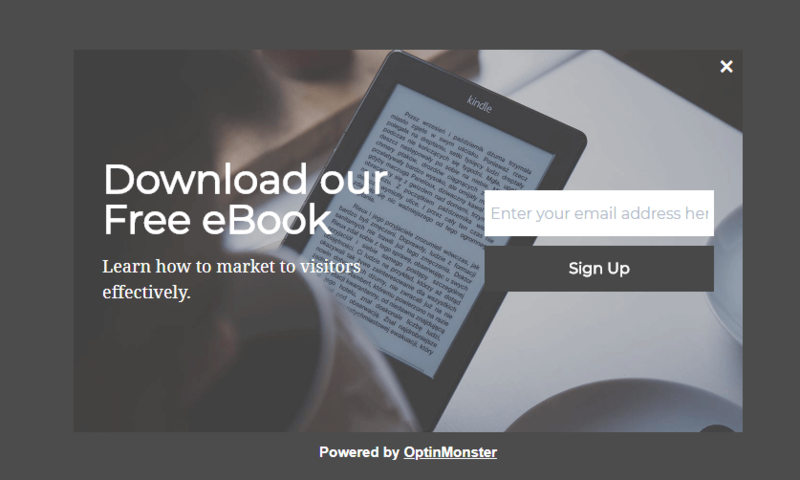 Your lead magnets should give readers a BIG WIN quickly. Once you win your visitors with a lead magnet that helps deliver fast results, continue to make relevant offers using your email marketing automation to drive sales. Using OptinMonster, I was able to increase sales $55,000 after capturing nearly 7% more leads with a single optin.